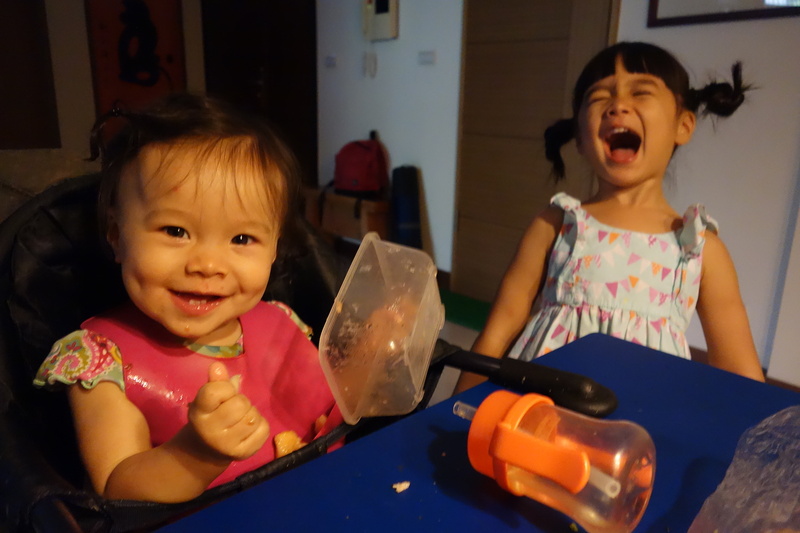 Isa and Eva have their personality differences, but one thing they share is a real goofiness. They both find ways to make other people laugh — and amuse themselves at the same time. Amusing themselves during Isa’s snack time at Oma and Opa’s house.